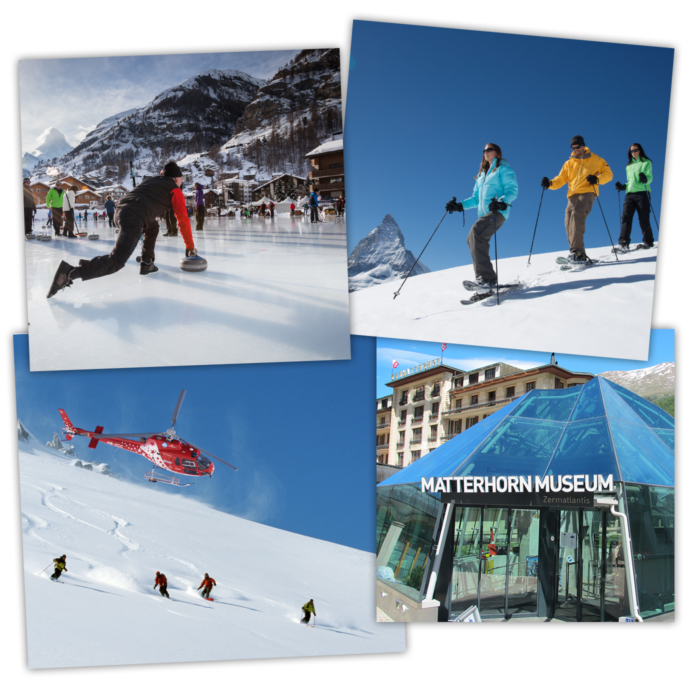 Zermatt is worth a visit all year round. You can visit the Glacier Palace in spring, take a scenic helicopter flight in summer, go hiking in fall or spend a day on the ski slopes in winter – needless to say, there’s something for everyone. Snowshoeing, a stroll through the village or a cheese fondue? Water skiing, cycling, hiking or skydiving?